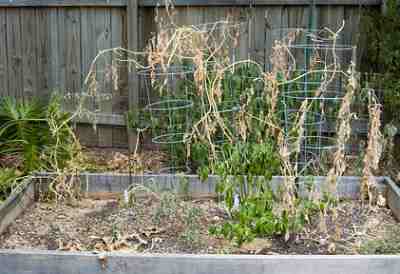 Tired of skimpy garden results? So what is a Hydro bubbler? It's kinda like a cross between a top-drip feed system and a deep water culture system. 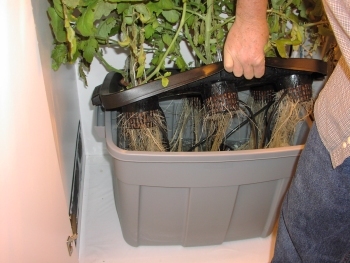 A pump and manifold sits inside an 18 gallon bin which is filled with nutrient solution. 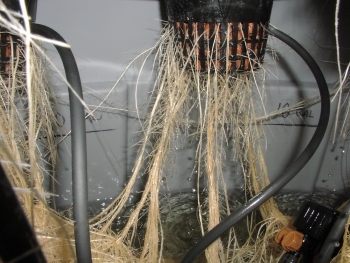 Spaghetti feeder lines continually drip nutrients on the root ball of the plants. An aerator stone oxygenates the nutrient solution and roots which have grown down into the bin. This promotes unbelievably lush and rapid plant growth. No more skimpy harvests for you! We love our compact bubbler units and highly recommend them either for a grow box/closet garden or open air applications. Is bubble hydroponics for me? Well, obviously you are looking for an alternative to soil and weed gardening, or you wouldn't have arrived at this page. A deep water culture system might just fit the bill for you. You can stick it in the corner of your office or bedroom. I actually love the soothing water sounds it makes, and keep a bubbler pot in my office at all times. This 6-pot unit is particularly suited to single specimen plants, like tomatoes, peppers, eggplants, and beans. if you are a salad lover, you could plant 6 heads of lettuce for a continual harvest. Keep in mind that you will have to provide a lamp plus a structure to tie up the vining vegetables, if that's what you choose. Although not as prolific as a 4' x 4' full-sized hydroponics setup, you will be amazed at the amount of produce you can reap from this sturdy little unit. 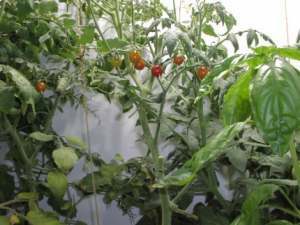 It's also one of the most economical hydroponics systems you could build. 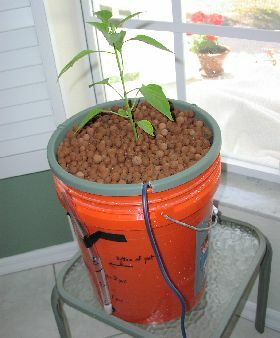 So if you're on a shoestring budget, this bubbler unit might be your ideal hydroponics starter project. So how do I get the plans? Well, it's like this… A complete set of plans, supply lists, tools required, tips 'n techniques for operation of the 6-pot bubbler system can be found in this e-book: "Simon's Super-Charged Turbo-Cooled Hydroponics Grow Box". We provide a detailed description of the bubbler system, reasons why our plans are superior to most kits on the market, and the total skinny on HID lighting for your bubbler here: Hydroponics Grow Box. If you would rather just go ahead and order, the link is below. Also provided… the entire original Hydroponics-Simplified website in PDF form! That's 320 pages crammed full of hydroponic plans, tips, charts, diagrams, everything you need to get started in this rewarding gardening method, as well as the grow closet plants. Not interested? 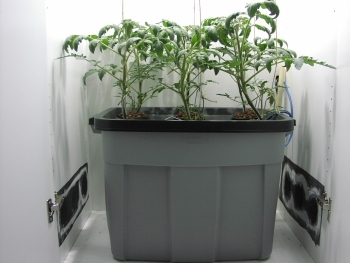 Then order "Hydroponics Grow Box" plans below.